Costa Rica is the Latin American country with the lowest unemployment. In relation to its surrounding, it has an amazingly peaceful history. This enabled the "Switzerland of Central America" to develop and reach a higher social security than its neighbours. Costa Ricans are fond of their intact nature and proud to be "Ticos". Costa Rica offers a magnificent wildlife and patches of untouched nature. This is more than just a tropical beach resort. Virgin rain forests, volcanoes, thermal springs, more bird species than all of North America - in short: an introduction into tropical biodiversity in miniature! Climate: Tropical and subtropical climates. Dry season (December to April) and rainy season (May to November). Hot in lowlands, cooler in highlands. More information in the section Climate). The small Central American country (also known as the „Switzerland of Central America) stretches over 51’060 km2 and is about 20% larger than European Switzerland. It borders to two oceans: the Pacific to the west and the Atlantic (Caribbean) Ocean to the east. Costa Rica shares borders with Panama to the south and Nicaragua to the north. 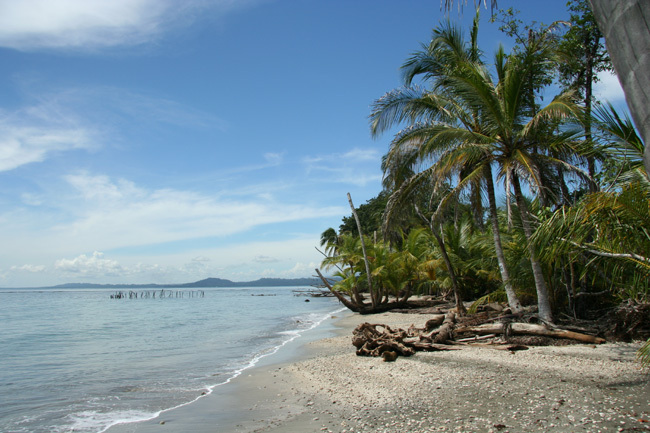 While the Caribbean coastline is relatively straight, there are two significant peninsulas on the Pacific side (Nicoya, Osa). Sinuous mountain ranges with over 100 volcanoes (of which 7 are active) divide the country in two parts from north to south. There is an amazing variety of vegetation types to be found and several lakes, rivers, creeks and waterfalls spring from these mountains. Cerro Chirripó (3820m) is the country’s highest mountain. The lowlands are characterised by mostly humid tropical fauna. Costa Rica and its variegated geography will astonish you! The Switzerland of Central America? Costa Rica’s climate is so varied that it becomes difficult to describe. It changes from region to region: compare, for instance, the dry hot climate of Guanacaste with humid Caribbean regions or the Central Valley highlands where temperatures can even drop below zero at night! The dry season lasts from November/December to the end of April. From November to April, hotels and other operators charge high season rates. The green season lasts from May until November. The season is characterized by almost daily rains, mainly in the middle of the afternoon. This phenomenon is more distinct on elevations than in the lowlands. The mornings are generally sunny; clouds begin to form around noon. Heavy showers (often in the form of storms) occur around 2 a.m. These showers last from 2 to 3 hours, after which the sun returns. Visit the section Climate & Weather for more information. Visit the Instituto Meteorologico Nacional for weather reports. The 1949 constitution decided for a presidential election every four years by the people of Costa Rica (without possibility for re-election). The two main parties (PLN and PUSC) usually took turns in presidency. The parliaments’ 57 members are elected at the same time. Costa Rica’s democratic stability is outstanding for Latin America and it has provided for safety and economic development. One important reason for this was certainly the abolition of the army in 1949 (which impeded a significant measure of corruption) and well-organised social welfare programmes.In 2003 the constitutional ban on presidential re-election was suspended, thereby allowing Nobel Peace Prize laureate Oscar Arias to run for a second term of presidency. After the first female presidency by Laura Chinchilla Miranda (2010-2014), Luis Guillermo Solís became the first president from the Citizen's Action Party (PAC) in 2014. Consult the section History of Costa Rica for background information. 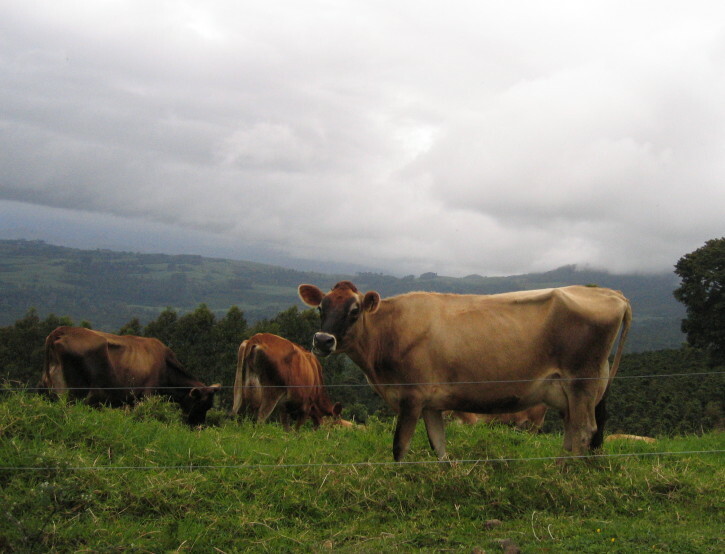 Costa Rica’s economy is mainly based on agriculture (coffee, bananas, pineapples, sugar cane, and ornamental plants), stock farming (cattle, chicken, pigs, horses), fishery and tourism.Recently, pharmaceuticals, electronics, financial outsourcing, software development, and ecotourism have become important industries.There is also a healthy amount of small businesses to be found. Costa Rica is a pioneer of ecotourism and is recognized as one of the few countries with really ecological tourism. In terms of 2008, Costa Rica is listed on the 44th place in the Travel and Tourism Competitiveness Index 2008, hence being the first Latin American country. About 1.9 Million visitors come to Costa Rica each year, thereby creating a revenue of 1.9 Billion $. (See Tourism for more info). The country produces no oil, but uses water and wind power for electricity generation. Around 50% of the population live around the cities of the Central Valley. Costa Rica’s high education level and its political stability make the country an attractive location for investments.In Latin America only Chile has a comparable economic growth. The inflation rate is about 8% per year. The country benefits from one of the fairest and most progressive social structures in Latin America (social security, pension, etc.). Sales are subject to a value added tax, and additional revenues are subject to a further tax. With 76 years the life expectancy is the highest in Latin America. In General, most holidays will not affect your travelling plans. But Costa Ricans travel a lot around Easter (Semana Santa) and Christmas Time. From Good Friday to Easter Sunday it is advisable not to make any big trips and to book hotels well ahead. On Easter Sunday and New Year’s Day all businesses are closed and most buses don’t run – expect to be grounded on these two days.